YouTube isn't just a mecca for videos of pets like cats and dogs, movie trailers and football matches, though those things can be quite fascinating. Amidst YouTube lies a wealth of some crazy funny cute baby videos that really make us cannot help laughing. It may take a little bit of digging to find these cute video clips about babies doing such funny stuffs and with a lot of clicks, but here we've hand-picked what people believe to be best 10 of the funniest videos of babies of all time, put together a list of best funny videos from babies on YouTube, and dwelled on an easy solution to free download funny baby videos for mobile watching with a free YouTube downloader. To get top cute funny videos of baby dancing/laughing downloaded without a hassle, MacX YouTube Downloader is highly recommended, not only resting with its fast downloading speed but also lying in its support of HD video downloading from YouTube, Facebook, Dailymotion, Vimeo, Myvideo, etc. 300+ video sharing sites. Specifically, thanks to its advanced YouTube download engine, you can easily and freely download the funniest baby videos in HD, even the 4K 8K Ultra HD kids movies download, in just a few seconds only. Preferably, the excellent ability to automatically add the output MP4 videos to iTunes Library means that you can directly put the downloaded funny baby video clips to iPhone, iPad, and other mobile devices for enjoyment on the go. Free download the video downloader on your computer, and launch it. Open the funny baby video you'd like to save on YouTube, Dailymotion, or other video sharing sites, and copy the video URL. Head back to the tool, click the Add URL icon at the top menu bar, and click the Paste & Analyze button to load the funny video clips about baby. Tips: You can add more than one funny kid video clips on the free downloader software. It will later download these video clips for free one by one. After the video is analyzed successfully, select funny baby video format, resolution and file size you want. It also supports download videos in 4K UHD from YouTube, FB, Ins, 1000+ sites. If your devices for watching downloaded funny baby clips don't have 4K display, try saving videos in 1080p or 720p. 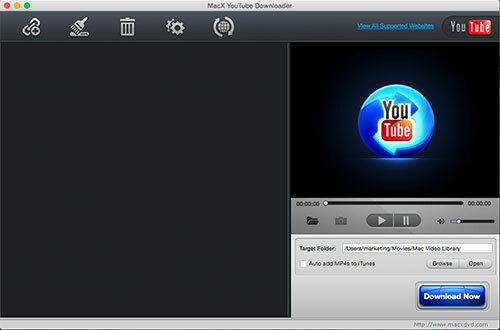 Note: MacX YouTube Downloader not only helps to download funny child dancing or laughing videos for free, but also enables to download all other videos, like downloading kids songs, kids educational videos, movies, TV shows, clips, sports video, and more. Specify output folder on your computer to save the output files by clicking the Browse button. Click "Download Now" to start the fast baby video free download process. Now, you can keep these hilarious baby video clips stored on your computer just in case of being deleted by original YouTubers or just out of casting away ads or getting rid of YouTube bothering. It's also a good idea to transfer these funny videos to iPhone, iPad, Android mobile devices for offline viewing on the way. Nothing is quite as joyful and happy as a baby naively doing something quite funny and cute. 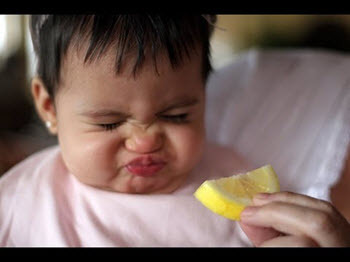 If you are wanting the best funny babies laughing videos that are the diamonds in the round, the followings are right up your alley, highlighting the funniest yet most-viewed cutest baby videos of all time as well as the very sidesplitting baby video clips on YouTube. Emerson – Mommy's Nose is Scary! Aydan's Funny Laugh – He's a Happy Baby! Best Baby Laugh!